With the opening of InterContinental Singapore Robertson Quay, Robertson Quay welcomes yet another restaurant to the upscale neighbourhood. Except that this time, the one restaurant – Publico – comes with a trio of concepts. Occupying the entire ground floor space of the double storey restaurant block that adjoins the hotel, Publico takes up two distinct spaces. Publico Deli is an all-day diner that serves an a la carte style breakfast with a tiny selection of cold cuts, pastries and fruits from the buffet. By night, the road-fronting section of the deli morphs into Dessert Cafe, which serves sweet treats like tiramisu pot, while its river-fronting rear transforms into Marcello, a bar that serves Italian craft cocktails. It’s also at the latter that you’ll find South East Asia’s largest collection of Amari. 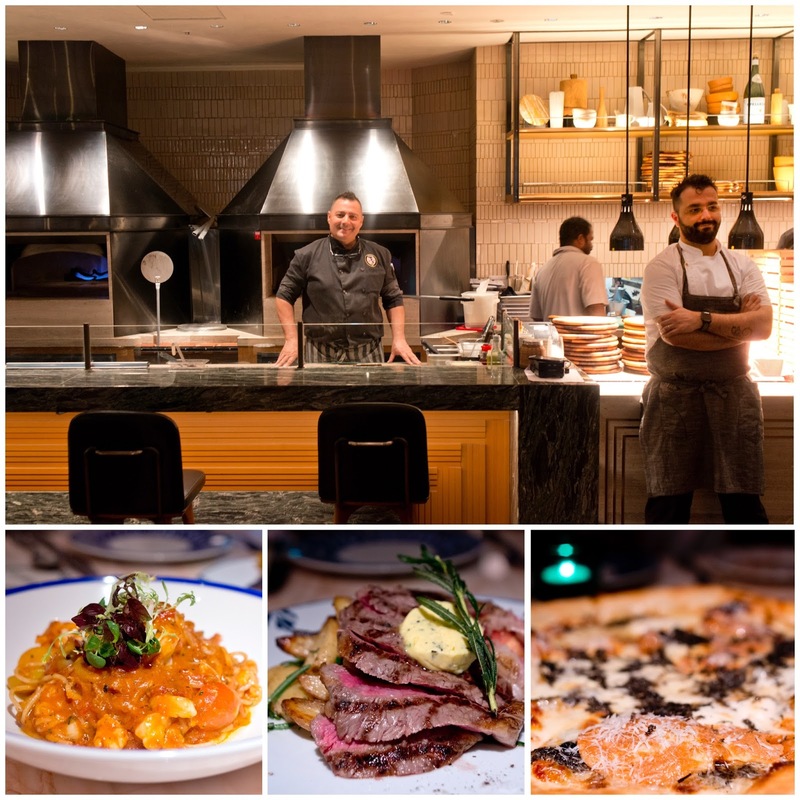 Further down the road is Publico Ristorante, a convivial Italian restaurant and wine bar with a generous bar, geometric Italian granite floor and two pizza ovens as centrepiece. Only opened for dinner currently, the restaurant is helmed by Executive Chef, Marco Turatti, who has put together an extensive A3-size menu of contemporary dishes and Italian classics. The pizzas, prepped with Italy-imported flour and baked in the gas and wood-fired brick ovens, are a must. Try the tartufata ($24) pizza, a thin crust pizza topped with juicy rehydrated porcini mushrooms, smoked scarmorza and mozzarella cheese. All the pastas in the restaurant are made on site. A visit to Publico Ristorante, therefore, is incomplete without a taste of the pastas. It is rare to see home made spaghetti in restaurants but at Publico, they have a machine dedicated to making spaghetti pasta. The spaghetti is made fresh, then air-dried, and cooked to order with lobster, cherry tomatoes, garlic, white wine and chilli ($42). While the pizzas and pastas are the stars of the show, the meats are also a highlight. Of note is the oven-grilled bistecca (about 220g for $38) – the steak is served sliced with a slab of herbed butter as well as rosemary roasted potatoes and marinated tomato salad on the side. That’s not to mention the range of Italian wines and their affordable prices ($14-$18 for whites by the glass, $16 to $20 for reds by the glass) on offer.